Here's the latest comic for Investing.com. This week's subject is the continuing slide of oil prices. Oil prices have been falling dramatically for some time and the trend is projected to continue. 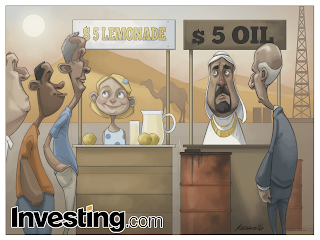 The crew at Investing.com asked me to draw a hot desert setting. 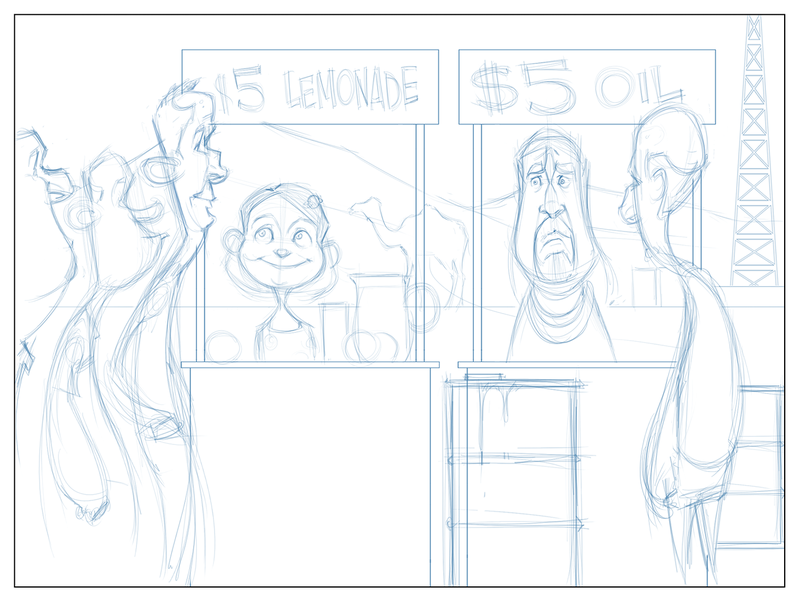 Within said setting, they asked me to draw a little girl behind a lemonade stand selling lemonade for $5. Next to her, I was asked to draw a panicked-looking Sheikh behind his own stand, but instead selling oil for 5$. 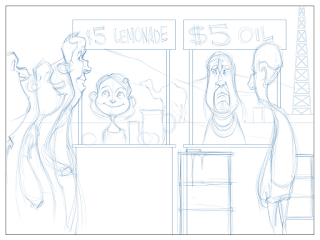 In the foreground, they asked me to include a line of people waiting to buy lemonade and one person looking to purchase oil. In the background, they wanted an oil rig and a camel. This comic was a ton of work. Six characters and a fairly complex setting are a lot to tackle in one day. One saving grace was that there weren't any caricatures to draw. Because caricatures actually have to look somewhat like specific people, they take quite a bit longer. With all these characters, I can just make up the people, which is fun and faster.